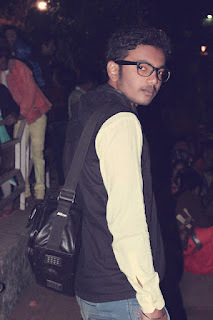 I am Deepak kumar, I just started this blog as a hobby and to share what I know. It all started in November 2014 as a small blog with just a few pages. However, with the passage of time, the blog picked up more traffic and the response from the readers was also increased. This made me take up blogging more seriously. This blog was hosted on Google’s Blogger platform with the name deepaksoftwareworld.blogspot.com now it is continue. After that 23rd January 2016. I am started itbuzzweb.com with help of my friends.Friends are very helpful for me. Right from the beginning, I had a passion towards blogging and computer security make money from blogger and probably this gave a kick start to the launch of a technology blog. Though I am not a pro blogger, I hope I have something enough to run this blog. This blog is wide open to suggestions and feedback so that you can always come up to correct me. Please subscribe to Itbuzzweb.net to stay in touch with the latest posts and updates. You can also catch me on Facebook and Twitter. Your love and encouragement will always keep me inspired to share my ideas with you. If you would like to know more information on Itbuzzweb please get in touch through my contact page.